i miss you guy's..what's wrong with you minna?? huhu..it's been months already since the last chat..
everyone's kinda busy i guess. only 2 or 3 are active. whats going onnnnn??? where are you guy's..visit us once in a while..
i can say i'm one of them..but i'll try to be online sometimes..
yeah i login sometimes but i never find new stuff^^Well 2010 will be full of WaT events then everyone will be back don't feel bad^^Gambatte WaT !!! yeah ! everyone should try to be active ..
i always log on here .. but no new post ..
i feel bad ! ..
teppei is busy too but he kept on blogging right ? we should be active here too ! ..
lets support WaT in our own little way !! i will try my best^^I have so much to do but i will login everyday every time i sit in front of my PC !! I just put a little note besides my computer "Login :www.watichiban.forumotion.com"
Everyone try your best too to login from time to time!!! thats cool amouna !! . i should have one too ! 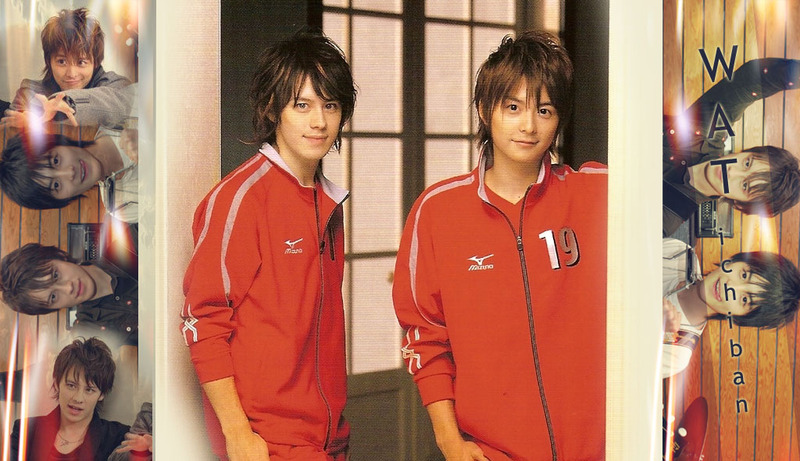 to let me remind myself ..
minna .. are you still visiting our page?? please..do visit us evertime your free..
i miss chatting with you guy's..
ev-chan ! do you have facebook and ym ? can i add you there?? everyone who has accounts there please write it here .. so that we can be friends there! Subject: Re: WHERE IS MINNA~!???? ?